One of the biggest new mysteries in our Solar System is the purported presence of a large and distant “Planet Nine,” traveling around the Sun in a twenty-thousand-year orbit far beyond Pluto. Although this far-flung world’s existence has yet to actually be confirmed (or even directly detected) some scientists are suggesting it might have originally been an exoplanet around a neighboring star, pilfered by our Sun during its impudent adolescence. Formed five billion years ago in a cluster of other stars, our Sun once had hundreds if not thousands of stellar siblings (now long since dispersed through the nearby galaxy.) As the stars developed many likely had planets form around them, just as the Sun did, and with all the young star systems in such relatively close proximity it’s possible that some planets wound up ejected from their host star to be picked up — or possibly even outright stolen — by another. Our Sun formed within a star cluster similar to this, NGC 346 in the neighboring Small Magellanic Cloud. Credit: NASA, ESA and A. Nota (STScI/ESA). Brown and Batygin’s Planet Nine could be one of these hypothesized adopted worlds. 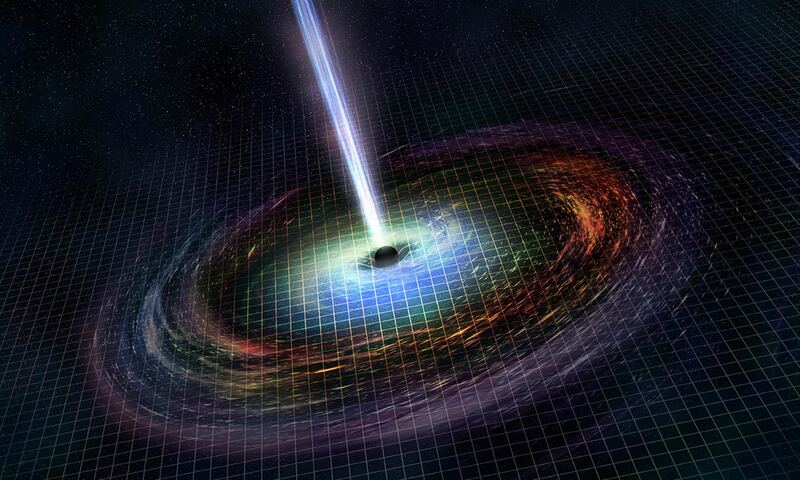 A team of researchers, led by Alexander Mustill at the Lund Observatory in Sweden, recently investigated the probability of this scenario, described in an April 4, 2016 article on New Scientist. What the researchers found based on their models — which took into consideration the orbits of known KBOs and trans-Neptunian objects (TNOs) but not the effects of known planets — was that the Sun could very easily capture nearby exoplanets as well as clusters of smaller bodies (like “mini Oort clouds”) given that the objects are far enough from their host star and the relative velocities during the “pick-up” are low. While the researchers admit that the chances of a heist having actually taken place are quite small — anywhere from 0.1 to 2% — they’re not zero, and so should be considered a reasonable possibility. It’s previously been suggested that the Sun could have captured worlds from other stars in passing, such as comets and even the approximately 1,800-kilometer-wide KBO Sedna. There’s also the possibility, note Mustill et al., that a world like Planet Nine could have ended up a member of our Solar System after being forcibly ejected from its own where it formed close to its star but within an orbit that wasn’t stable — especially considering the complexities of multi-body systems. 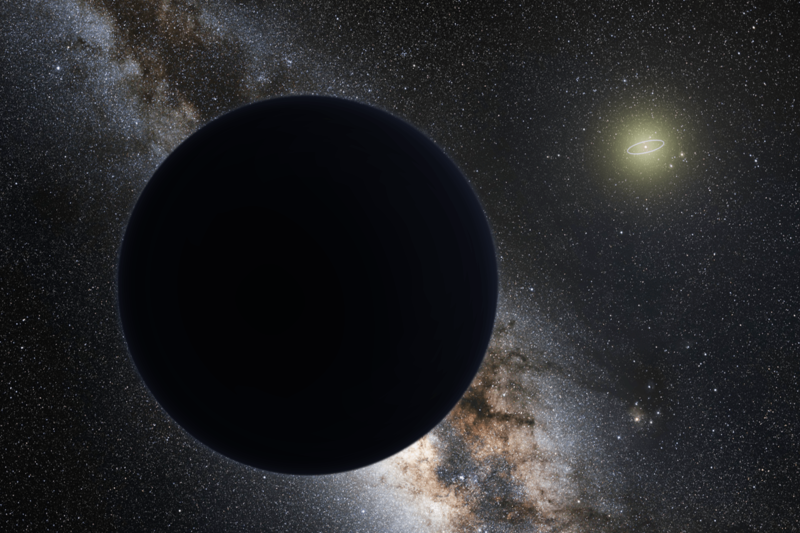 Of course Planet Nine, if it exists at all and if so, whatever it happens to get named, may also have formed from the same planetary disk as the other planets. But even if that’s the case there will be many questions about its evolution and current location that will then need to be answered. Please stop referring to this potential object as “Planet Nine” and use the more neutral term “Planet X,” with “X” simply referring to the unknown. If this object exists, it is not the solar system’s ninth planet but more like its 15th, as dwarf planets are planets too. They are a subclass of planets, as intended by the person who initially coined the term, New Horizons principal investigator Alan Stern. Counting dwarf planets, our solar system already has a minimum of 13 planets, 14 if one counts Charon as part of a double planet system with Pluto. On a related note, it’s also time for the media to stop referring to Mike Brown by his completely unscientific preference of “planet killer.” His obsession with “planet killing” is embarrassing to science and is highly unprofessional. The IAU’s “reclassification” of planets, done by only four percent of its members, most of whom are not planetary scientists but other types of astronomers, continues to be rejected by numerous planetary scientists to this day. It was immediately opposed in a formal petition by as many professional astronomers as those who voted for the IAU definition back in 2006. The highly controversial planet definition adopted by four percent of the IAU is highly problematic, flawed, and confusing, and therefore remains just one of several competing and equally legitimate planet definitions in use. Here’s the problem: do all of those things in an article and then someone else comes along and makes an argument to exactly the opposite. That’s the problem with contested semantics; one is never “right” and going into the details EVERY TIME will quickly overrun the topic at hand, which in this case is not what should we be calling Pluto. But then, that never stops some people from making it the main idea. To clarify, the ‘some people’ sounded snooty… In an economy of ideas, defending the truest is admirable..
Keep in mind Laurel has an axe to grind about Pluto’s reclassification. In fact dare I say it seems to be her reason for existence. It is correct to refer to Mike Brown’s hypothetical massive planet as “Planet 9”, because that’s what he called it. Discoverers get naming rights, and he did co-write the paper on why it likely exists. As the hypothetical planet has not been discovered, naming right do not apply.. There are numerous papers dating back decades speculating on another large planet or brown dwarf in or outside the Kiper Belt. Any of those imaginary names would have equal status. On the Pluto naming issue, I side with Alan Stern.. If it quacks like a duck.. has moons, atmosphere, complex geology and climate.. is spheroidal, etc.. et..
Peter Higgs might disagree with you on that one. Planet 9 is not pure speculation, rather it is inferred by the orbits of other bodies. Has a list been forwarded to replace the current (accepted) classification, or was it just a single word opposition of the word “NO” written multiple times? As Jason stated, it’s SEMANTICS. The words are not the objects. The menu is not the meal, the map is not the territory. It simply doesn’t matter. A dwarf planet is still a planet. Can’t find it, can’t explain it. It’s not much of a theory that requires a fortuitous accident. Show me a predictive theory and maybe I’ll take a look. It’s existance is strongly suggested in recent orbital plottings as the article states. Inferred from the maths. Jason: I agree with you one-hundred percent (tone and all). There’s probably a universe where people aren’t obsessed with the definition of a planet, use of metric units, and gender neutral pronouns . . . but it isn’t this one. If you are bickering over semantics, the door is this way. And don’t let it hit you too hard on the way out. I come to this page for a general run down of topical ideas. Sometimes I even speculate about possible scenarios that could lead to a general hypothesis. But I never get involved in semantics because it is a waste of everybody’s time. Who runs this page? They can use what ever semantics they want. If they want to call rocky planets big balls of rocks, and they call gas giants big balls of gas, and they say we have 3 big balls of gas revolving around our hot big ball of gas at the center of the solar system, they can. They own this page. If you want to start a page using your semantics, by all means start your page. Who knows? I might come over there listening to your wisdom. I’ve written many articles over the years on Pluto and other planets/dwarf planets/protoplanets/what-have-you. I highly respect the work and talents of both Drs. Brown and Stern. If every time I featured their work or Pluto etc. I had to devote a paragraph or two to defending either side or delving into reasons why something should or shouldn’t be called something, whatever story at hand would quickly get diluted. So I won’t do that. Fair enough. Thanks for replying. Thats why UT is my favourite science site. Planet nine is most certainly of exoplanet origins. Highly unlikely for our sun’s proto disk spreading out that far and accreting such a huge planet. And if the size is sub Neptunian we might finally get our own super earth? You know the poorly named theoretical planet doesnt exist? It a bit early to be counting our chickens.